His look makes him come on like a Cajun Elvis. His first ambition was to be a movie star. And almost certainly due to that life choice, he’s based out of Los Angeles. 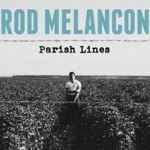 But Rod Melancon, as his name and the title of his second album both imply, is genuine South Louisiana, even as he moves from the pure Nashville country of his debut, My Family Name, to the more rock-oriented sound of this follow-up. He’s got the twang, he’s got the good stories, fictional though they may be, and now he’s got the production and multi-instrumental chops of former Dwight Yoakam sideman Brian Whelan. The new focus leads to a set that kicks when it needs to: “Marella,” a simple tale of overactive hormones, has a near-Zeppelinesque stomp, and the rockabilly two-step hybrid that is “South Louisian’” is a properly defiant “white trash” anthem. Better still is the way all that new moxie doesn’t intrude on the slower numbers, acoustic Americana ballads of ordinary people doomed to be chained to desperate situations. His vision is neither as Springsteenian in its lyrical scope as it aims for (“Cushing Avenue,” the poppiest thing here, sounds like an outtake from The River), nor is it very original when compared to obvious influences like, say, John Prine. But he knows enough to show and not tell. “Wanna Go for a Ride” actually sounds genuinely desperate despite its clichés, and the closing “Feathers” undercuts Melancon’s bad-boy posturing with a series of self-deprecating and surprisingly touching scenes of the artist as a young man. It remains to be seen if Rod’s personality is fully formed yet; he’s re-recorded two songs off his debut, which can’t help but make you feel like he’s already second-guessing himself. The journey’s still entertaining, though, because he tries hard to find himself in these hard-luck losers. Not the usual pretty-boy move.